United Airlines has launched bonus miles promotion for travel to Hong Kong through February 28, 2019. 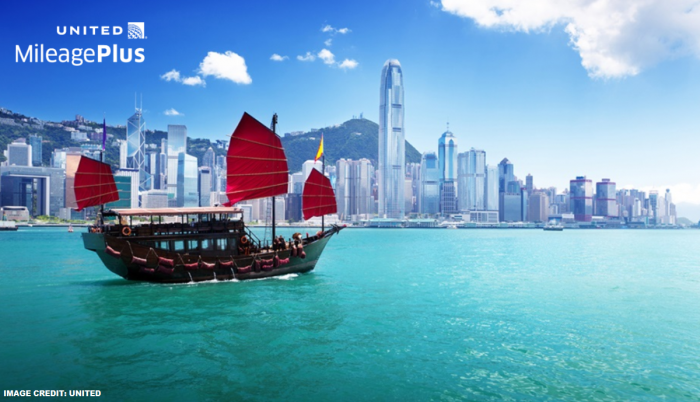 MileagePlus members can earn three bonus miles per USD charged on qualifying flights between United States and Hong Kong. There is the separate offer for flights to Singapore (read more here). Seems that the loads to these two cities may not be as strong as United hopes and hence these offers to drive more traffic. 1. Registration is required by February 28, 2019. 3. To earn the bonus, you must register for this offer prior to booking and completing a qualifying flight. A “qualifying flight” satisfies each of the following: (i) includes a segment between the United States and Hong Kong (HKG), (ii) complies with the ticketing and travel dates listed below, (iii) is operated by United or United Express (offer is not valid on United-marketed codeshare flights operated by other carriers) and (iv) must be booked in paid Economy or paid Business fare classes. 4. To qualify for this offer flights must be booked and completed after registration and no later than February 28, 2019. 3x the fare* will be awarded for qualifying flights between the U.S. and Hong Kong (HKG). Connections to/from Hong Kong (HKG) and within the United States are also eligible for bonus miles. Bonus does not apply to any upper cabin fare multiplier. 10. 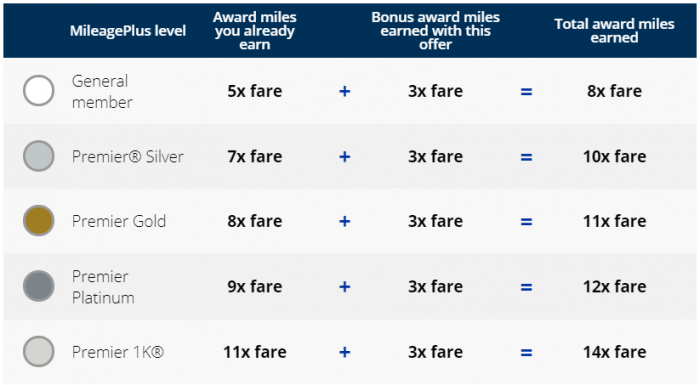 Bonus award miles will be credited within six to eight weeks after the promotion ends on February 28, 2019. Bonus will be calculated using the originally ticketed fare and/or fare classes and Economy Plus purchases, as applicable, and subsequent changes to any fare and/or fare classes as a result of itinerary changes, complimentary or paid upgrade, purchase of travel products (including but not limited to United ClubSM, Premier Access®, Award Accelerator®, Premier AcceleratorSM), irregular operations or otherwise will not be considered. 12. Offer is not combinable with other non-combinable offers or any other route specific promotion that includes the same destination as this offer. 16. Offer is subject to change without notice. Other restrictions may apply.